Now this is a great place for people to travel around. The main reason to why which I have felt so is due to the serene climate that it has to offer most of you too. It will be such good place for you to camp. The festival is held in the Borough of Lyons. Lyons is located midway between Reading and Allentown. Three miles south of Kutztown University. The talent, at this festival, is some of the greatest old time fiddling you could ever hope for. They have a very informative web site. You can view it at www.lyonsfiddlefest.com. 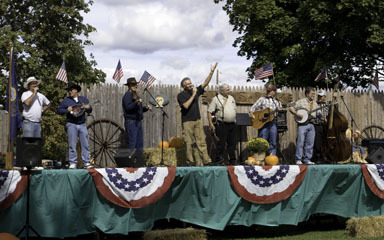 The 26th annual Lyons Fiddle Festival will be held on Sunday, September 20th from 9a.m. to 6 p.m. Thanks for telling us about the Lyons Fiddle Festival in PA. I'm surprised I haven't heard of this event until now. Could you please let us know the dates and times to attend? And where this event is located? Thank you for sharing this great photo.